This past few months has been incredibly busy here at MQBM! 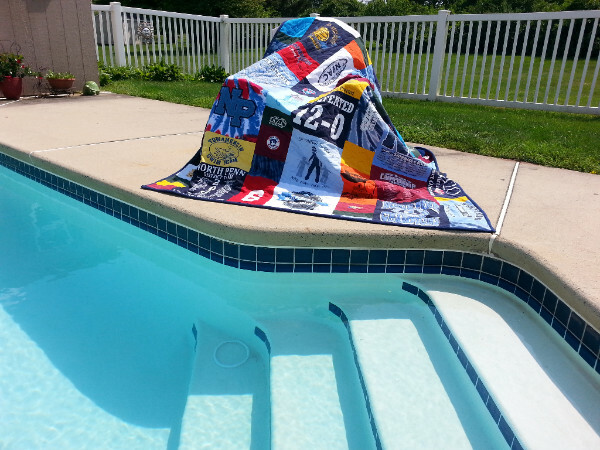 A record 27 grad quilts have been made. 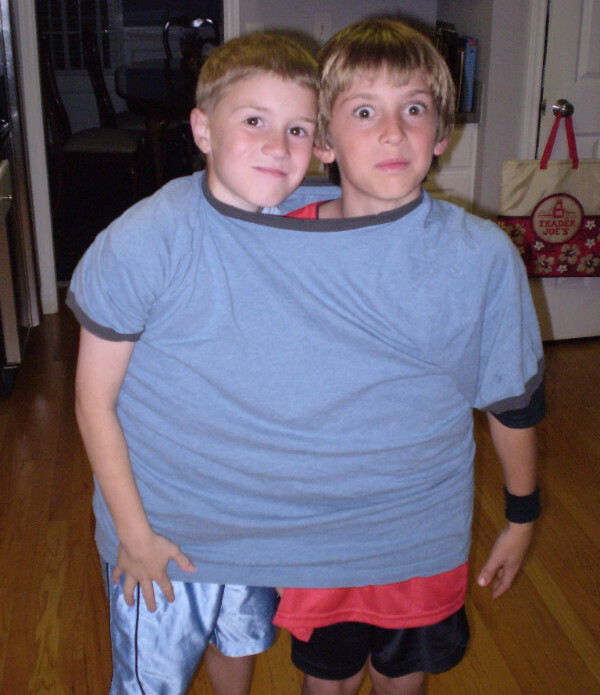 Many of these quilts are now wrapped around you or your loved ones! 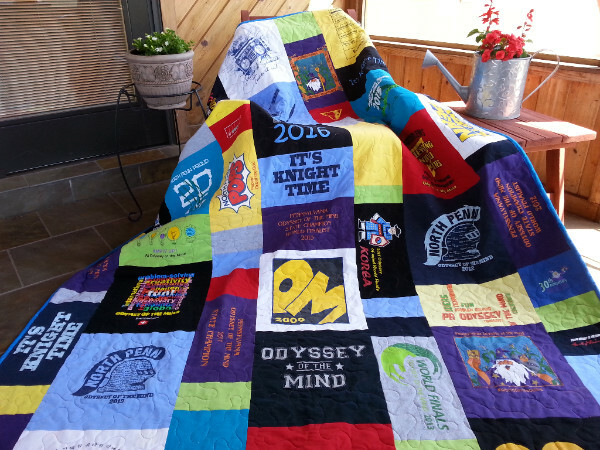 This month I am highlighting the talented graduates that were lucky enough to receive an MQBM Memory Quilt. 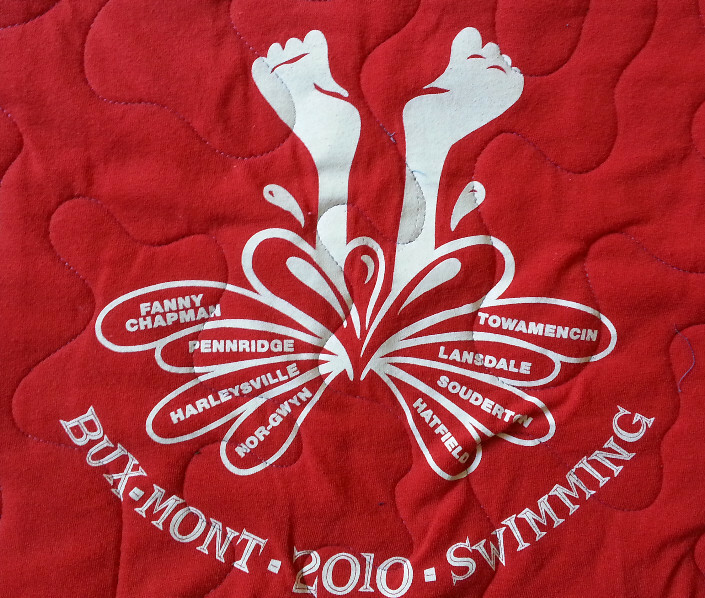 It is amazing how each quilt tells a person's story through fabric, whether that story is lacrosse, swimming, softball, or Odyssey of the Mind! The fabric does indeed tell the person's story in such a beautiful way! 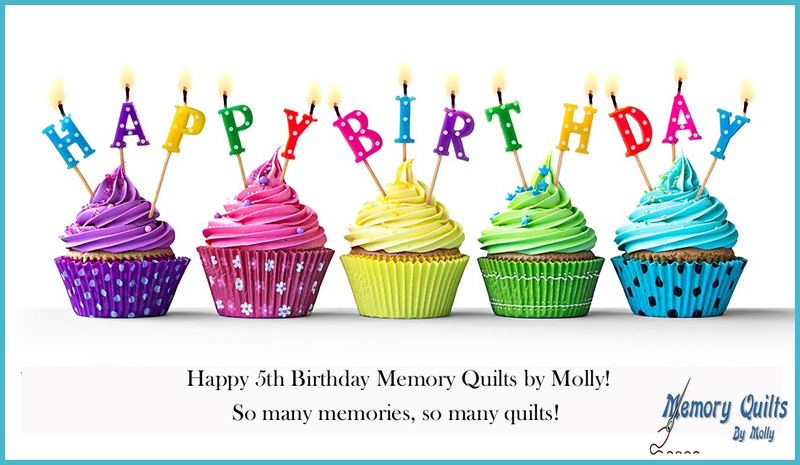 As always, if you are in need of a Memory Quilt for any reason please contact me so that I can add you to the list. Currently I have 22 quilts in the queue. Summer will be busy, filled with lots of memories! What story do you have waiting to be told? 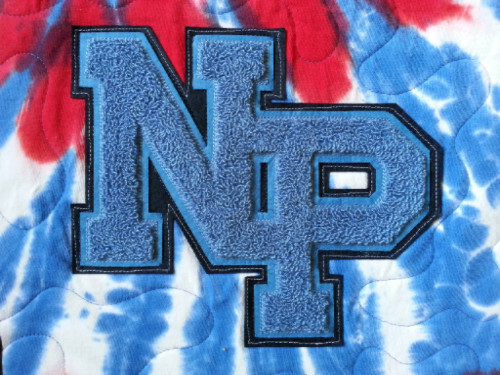 Lacrosse, Swimming, Wind Ensemble, Jazz band, Odyssey of the Mind, and Olympic Day are just some of the shirts found in the quilts I have made recently. These events tell a lot about a person! The stories these recent graduations have are amazing and are illustrated so beautifully through these custom, handmade quilts. 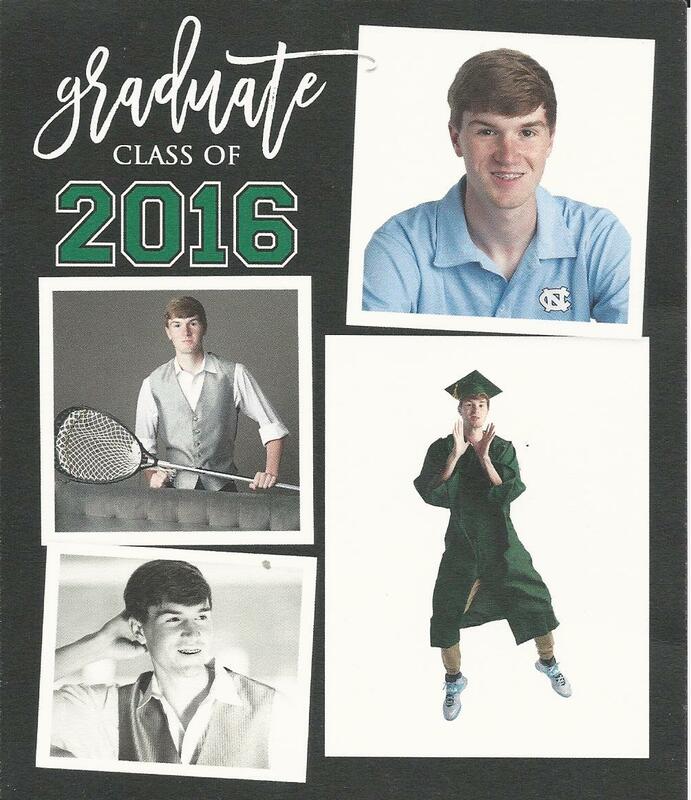 Best of luck graduates! 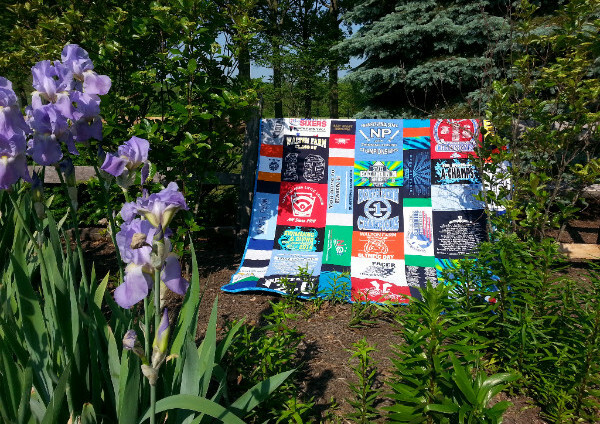 This 70" by 95" traditional style twin size quilt was made with 35 t-shirts and sweat shirts from all of Jake's school programs that he participated in. 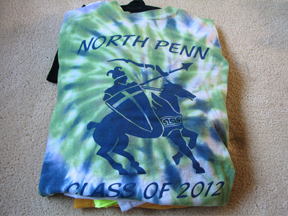 The block sashing was made in the canary and navy blue that represent North Penn. A super soft gray flannel was selected to use as the backing! From Olympic day to high school Lacrosse! Jake has awesome memories! 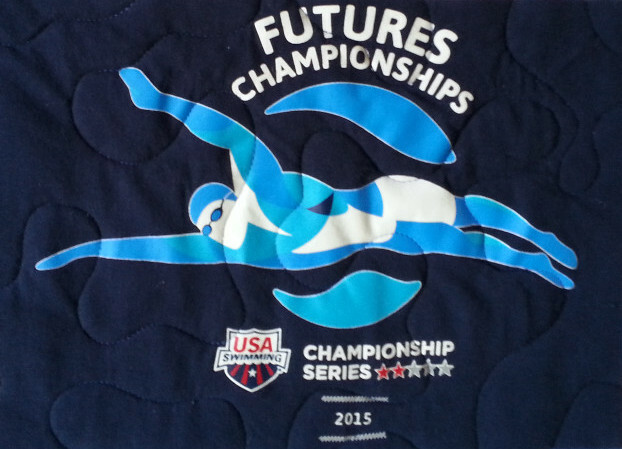 Harrison's quilt, shown above, is filled with swimming shirts, culminating in the 2016 State Championship! Wind Ensemble and Walton Farm Elementary shirts are sprinkled through out. I just love getting pictures from happy customers! Meet Lindsay also know as Chugga! 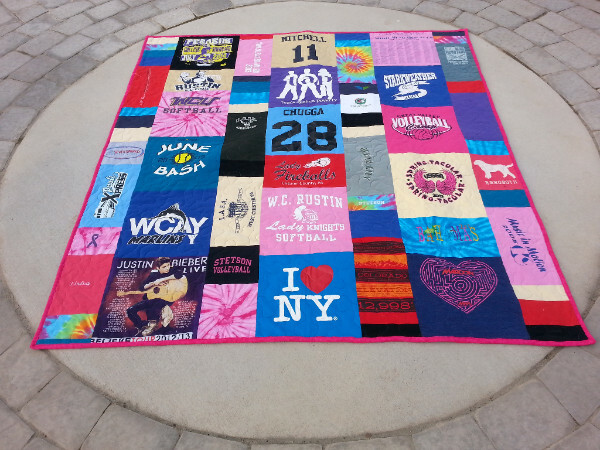 Her quilt tells an amazing journey of softball and rock concerts! 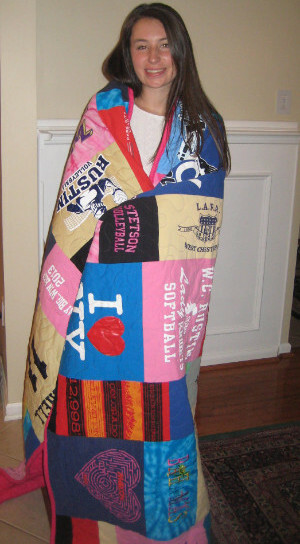 See all 27 Graduation Quilts! 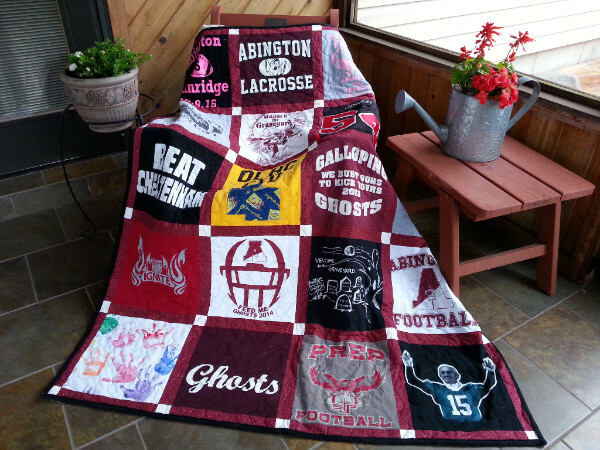 This traditional style large lap quilt, shown below, is all about the Abington Ghosts Lacrosse team. The Abington colors, maroon and white, were used for the sashing. 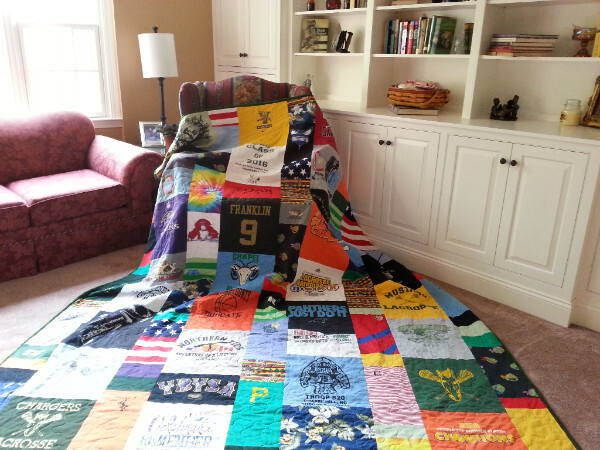 Notice the Pope in the Eagles jersey in the lower right hand side of the quilt! My Favorite of the Season! 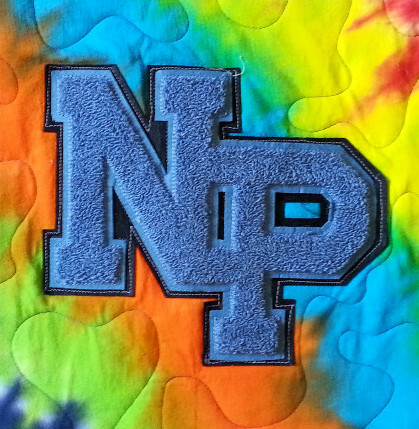 This Modern style, twin size quilt was made for Madison, another lucky North Penn graduate. 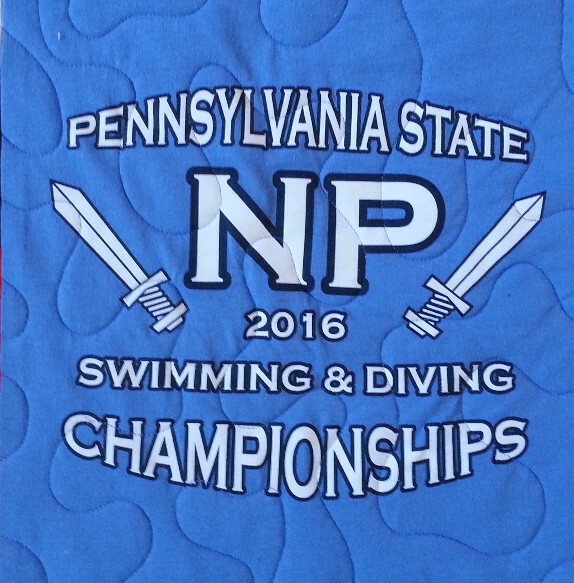 The OOM of North Penn won the State championship competition this year. 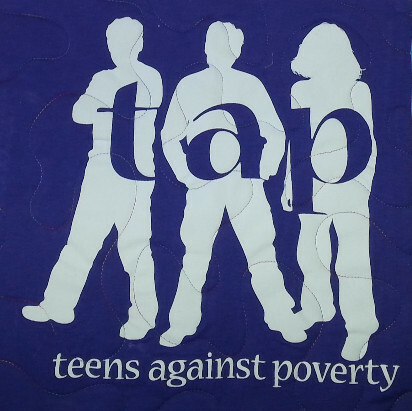 Every single shirt in this quilt was designed by the students, making the quilt extra special. 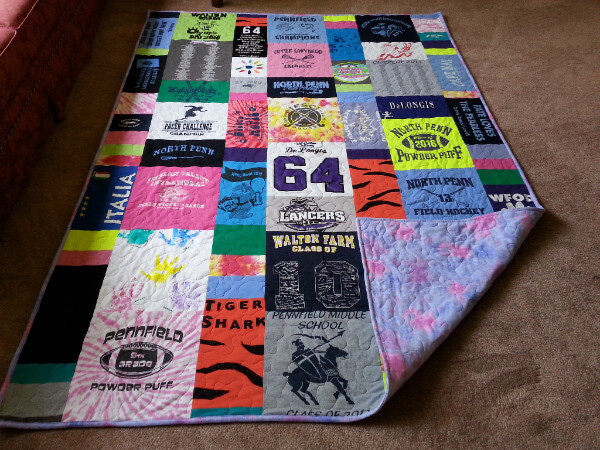 Just love the colors in this modern style twin size quilt made for a very dedicated Field Hockey and Lacrosse player. The orange Tiger shark blocks came from a homemade costume;) Best of luck Jenn at Lafayette! This basic style, large lap is filled with Cheer leading memories. The Basic style has become very popular! 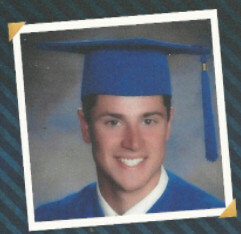 This lucky grad is off to Penn State! 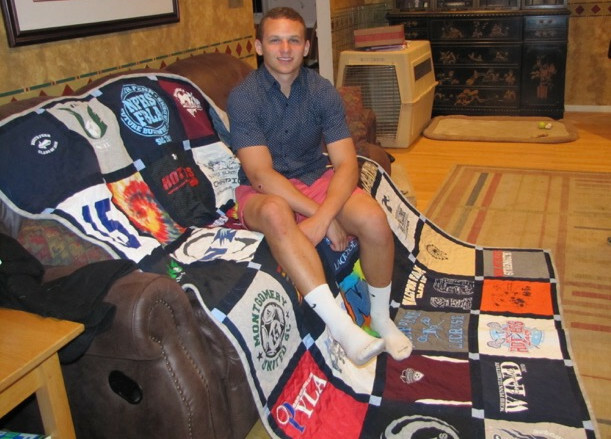 Eric received this Modern style queen size quilt for graduation! 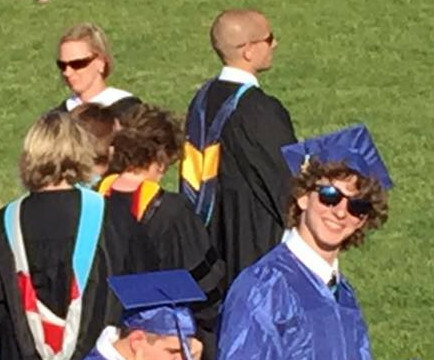 And yes, the blue shirt shown below is included ;) Eric is off to UNC in the fall. 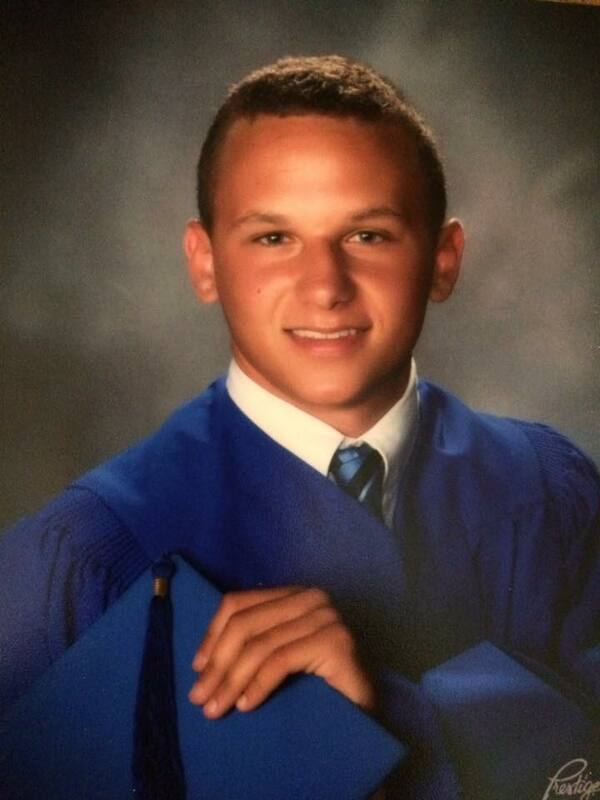 Best wishes Eric!